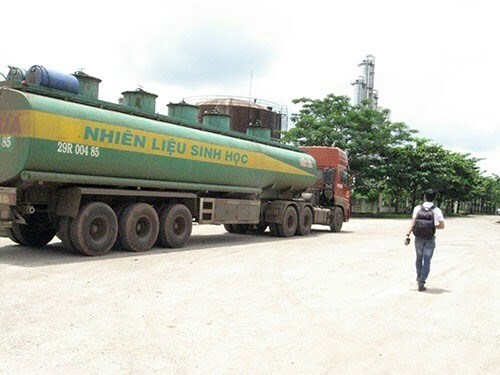 Hanoi (VNA) - The Ministry of Finance has proposed to lower import tax on bio-fuel ethanol from 20 to 17 percent so as to make E5 petrol cheaper. Vietnam will replace RON 92 petrol with E5 bio-fuel from the beginning of 2018, and with E10 after 2019. E5 petrol is a mix of A92 petrol (95 percent) and bio-fuel ethanol (5 percent). The ministry has gathered suggestions on import tax imposed on bio-fuel ethanol to create E5 petrol as it is worried that the country will face ethanol shortage. Statistics from the ministry show that the E5 demand in 2018 will be 6.2 million cu.m after the bio-fuel petrol replaces RON 92 petrol completely at the start of the year. The demand for E10 is expected to be 6.6 million cu.m in 2019, and 7.1 million cu.m in 2020. Currently, the supply of bio-fuel ethanol for E5 petrol comes mainly from two plants owned by Tung Lam Joint Stock Company that have a total annual capacity of 200,000 cu.m, which can be used to produce 3.9 million cu.m of E5 a year. The two plants have been operating at 30 percent of their designed capacity, while there are two other plants in Dung Quat and Binh Phuoc that have halted operations temporarily. If the two ethanol production plants in Dung Quat and Binh Phuoc resume operations, the total ethanol supplies of the four plants would be sufficient to cater to the E5 petrol demand in 2018. However, it is expected that the country will fall short of 200,000 cu.m of ethanol in 2019 and 300,000 cu.m in 2020. If the two plants don’t resume operations by the beginning of 2018, the country’s ethanol supplies will be a maximum of only 200,000 cu.m a year, making for a shortfall of 111,370 cu.m in 2018. Local firms have not been importing ethanol because currently the demand for it is low as RON 92 petrol and E5 bio-fuel will co-exist until December 31 this year. If Vietnam needs to import ethanol from 2018 to produce E5 petrol, it will have to import the bio-fuel from the US and Brazil as the E5 supplies of Asian countries such as Thailand and China have been used up owing to local demand.